Are you considering black quartz but you are uncertain about the cleaning and maintaining? Then there are a few things to know you might find useful. The first thing to know is that quartz is highly resistant to stains and it will be easy to clean, but it is not completely stain-proof. Here, we are bringing you 10 tips on how to best clean and maintain black quartz surfaces. For day to day cleaning, just use soap, water and a soft cloth. Occasionally, you can do the deep cleaning. Use glass cleaner for that- just spray it on the surfaces, and wipe it off with damped cloth. Harsh chemicals that contain bleach or ammonia can damage quartz surface, so you should avoid them at all times. If such a chemical accidentally comes in contact with your quartz surfaces, neutralize its effect with water. Use a putty knife to remove dried gunk. Avoid using sharp objects for that. When you remove the gunk, clean the surfaces as usual. Quartz is highly resistant to stains, but some liquids can be more persistent. If you spill wine, coffee or ketchup, use an adhesive cleaner to remove it. Spray a bit of the cleaner on the stain, then let it sit for five minutes. Remove the stain with a soft cloth and clean the surfaces as usual. Some stains are best removed with rubbing alcohol, and not with an adhesive cleaner. Those stains are ink, markers and similar. Pour a bit of rubbing alcohol on the cloth and rub the stain. Follow up with cleaning the surfaces with soap and water. If you are having quartz kitchen surfaces, make sure to always use mats and trivets when cooking. 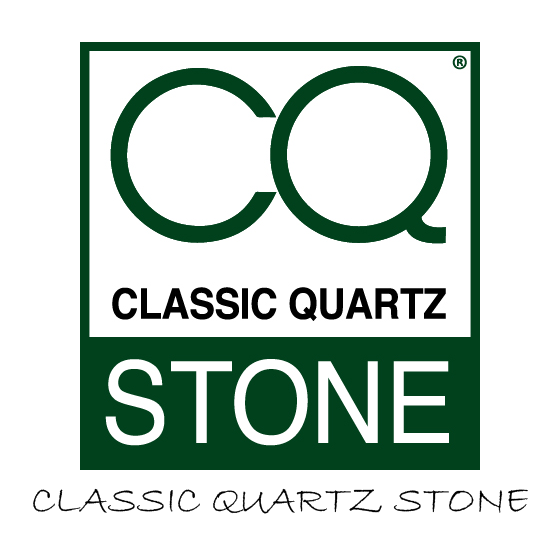 Quartz can hold up the temperature up to 150 C, but quick changes in temperature can damage it. Although quartz is highly resistant to scratches, you should use a cutting board, to prevent any scratches from happening. Also, this will prevent the dulling of your knives. Spray the counter with a degreasing cleaner that doesn’t contain bleach. Wipe it off with a soft cloth. Some liquids, such as wine, coffee or tea can leave a bit of a stain on your quartz surfaces. Even when the chances are that on the black quartz those stains will be barely visible, you should remove them as quickly as you can. Clean the stains as usual, with soap and water. Following these simple rules will make sure that your quartz surfaces are shiny and as good as new even after many years. Having black quartz surfaces is very convenient because even if you stain it, the chances are that it will be hardly visible. Having any questions about quartz maintaining? Please, contact us and we will tell you all you need to know. Also read more about our Quartz Cleaning Care Kit.